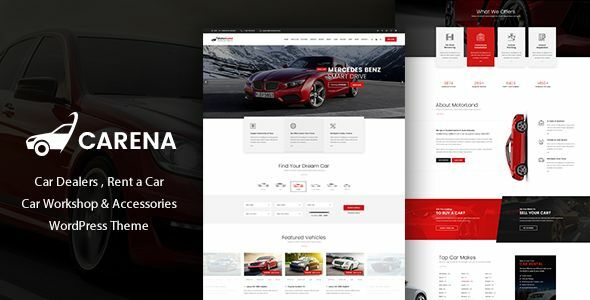 Carena is the ultimate WordPress theme. It is specially tailored for the car niche, with alot of features specially designed for Motor Industry. Carena can be customized to your specific needs with incredible ease, thanks to its powerful Admin Options. It comes with easy to follow documentation and one-to-one awesome support as well.